Can you imagine a life without music? How it’s going to be? Many would say a complete boredom. Actually one cannot imagine a life without music. There are many options to listen to your favorite music be it on web, smartphones, tablets, ipod, ipad; also various ways are there to access the unlimited music by music streaming services. 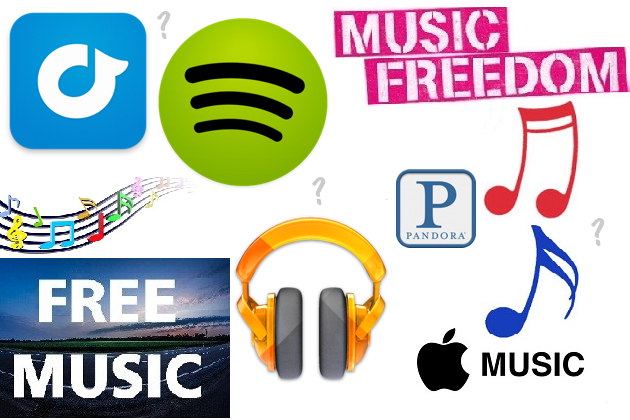 There is a major growth in the rate at which the numerous music streaming services are being introduced in the market. Streaming Music or streaming audio, lets you listen to music without the need to download files of various audio formats. People do prefer to opt for streaming services rather than the traditional way of downloading audio files on the computer or laptop. Instead the streaming option lets you transfer the steady stream of audio data to the buffer space of your music device which can then be used to play the music. Streaming lets you save the storage space on your device. When you are either working or relaxing and enjoying your free time, smartphone or iPhones lets you enjoy music anytime anywhere. The music streaming services which you can avail through smartphones, iPhones are much in demand, but it depends on you whether you want to opt for free or paid ones. But it’s the human nature to look for something which is best and at the same time free of cost. In my earlier post there was mention of the tips to select the best music streaming service for you which could brief you about choosing the music streaming service. For those who are looking for the free music streaming services and at the same time which are among the best ones; here goes the list which can lift your spirits and also motivate you. Spotify: From the data taken from Statista for June 2015, Spotify had about 75 million active users worldwide. With this data we can judge how popular it is among music lovers. It is also ranked as most popular Facebook apps in May 2015, with more than 39.74 monthly active users. It offers both free and paid subscriptions. Its music library has about 20 million songs. It offers free service with ads so those who don’t mind listening to ads go for it. As otherwise if you want to get rid of ads you can go for the premium subscription, it is available at $9.99 per month. It works both for the Android and iOS smartphones and has a web app and apps for major mobile operating systems. Its user interface and ease of use is considered better in comparison to other streaming services. It lets you play through the huge variety of playlists with easy social media sharing. If ads really do not bother you then you can listen to them after every couple of songs but at the same time you can stream millions of tracks for free, forever. It lets you play the free version only through shuffle mode. Google Play Music: By taking an abrupt leap forward and to stay ahead of its music streaming competitors it offers a huge list of 22 million songs in its music library. Google provides a free but ad-supported tier that can offer curated playlists which you can play and enjoy every moment of your day. These will be supporting the web based and Android and iOS apps. Its free service doesn’t allow you to choose a specific track or album to play, but you can group everything into stations. Its free version doesn’t allow you to play music offline, create playlists. Its free as well as paid service can offer you chance to let you store and play up to 50,000 songs. The Google’s “All Access”, unlimited streaming service, costs $9.99 per month. Here goes its video for better clarity. Pandora: Pandora is another widely used music streaming service. This is a favorite internet radio service among many which lets you plug in an artist or song title and then with Pandora app you can create a radio station of your choice. It has the up vote or down vote feature which lets the app know what all you want to like and offer you next time as per your music liking. Its free version has adds however you can get rid of them by paying $4.99/month. With its new Pandora Premieres station it can stream albums weeks before they are ready to purchase. This service is there both for free and premium flavors, and has over 79.4 total monthly active users in the United States. Its free users can listen to ad-supported radio stations that can stream at 64k AAC+ on the web, whereas Pandora one subscribers which is its paid service they can get about 192kbps streaming on the web with ad-free listening. Apple Music Service: Apple Music is among the latest services which can be used for streaming songs, hence creating tough competition to its competitors Pandora and Spotify. It’s free for basic service and paid service costs $9.99 a month, $14.99 for a family account. With over 11 million users and tens of millions of songs in its music library it is also gaining much popularity among music lovers. It lets users hold free accounts to have access to customizable radio stations however the paid listeners have the privilege to play any song on demand. It’s compatible with platforms like Apple’s mobile devices and watch. Along with it Mac and Windows desktop applications are also available. Apple music streaming service offers facility to share the account with only one device at a time which is available both for the free and paid versions. Rdio: Rdio has its catalog size and pricing, matching with Spotify. It is available on the web and also across Android, iOS, BlackBerry and Windows Phone. It is believed that Rdio is easy to use and has a clean user interface. Its catalog has over 32 million songs. It is a free radio service but with ads; and its paid version has are for $3.99 and $9.99 a month. The basic free subscribers have personalized radio with ads. But its paid Rdio Select service can provide you radio stations that too without any ad with no skipping of any track. Its other paid service called Rdio Unlimited lets users pick the songs which they want to hear. Its users can also stream via web browsers however it lets you share only one device at a time. It lets you play offline playback songs with upto 25 songs. I hope after reading this post, readers can now get a clear idea about the best free music streaming services with better clarity. However you all must be wondering which all music streaming devices to actually use to enjoy free music listening. Here goes some of the popular brands such as HEOS by Denon, Mind. This entry was posted in music streaming services and tagged best free music streaming, free music streaming, free music streaming online, music streaming services, streaming music free. Bookmark the permalink. Check out Cliggo Music, free music streaming without commercial breaks: https://music.cliggo.com … you’ll love it.